Playing and enjoying some time with one’s kids are one of the most significant moments a parent can live, and therefore are moments deeply cherished throughout our whole lifetimes. If you really enjoy spending time with your kids, any game or activity that they like, and they have fun too, is a time well spent. However, although it might be hard to admit, sometimes playing with kids can be a little exhausting and repetitive (toddlers discovering the marvellous invention of stairs, and little children repeatedly asking you to make them fly like a plane. Am i right?). 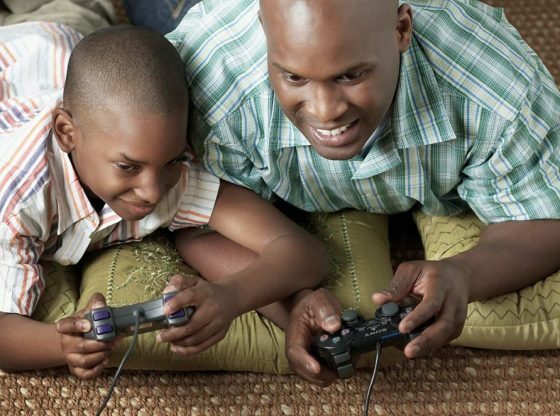 But trying to look for a middle ground between you and your kids is also ok; finding a game that you both like and enjoy is a win-win situation in everybody’s book. If you happen to be a gamer, then this is the perfect article for you. Finding out that your child has an inkling for gaming is a perfect opportunity for you to form a special bond with your daughter/son that could last you a lifetime. The sooner you find this out the better, before they enter the dreadful teenage face and forget about you for at least the following 7 or 8 years. 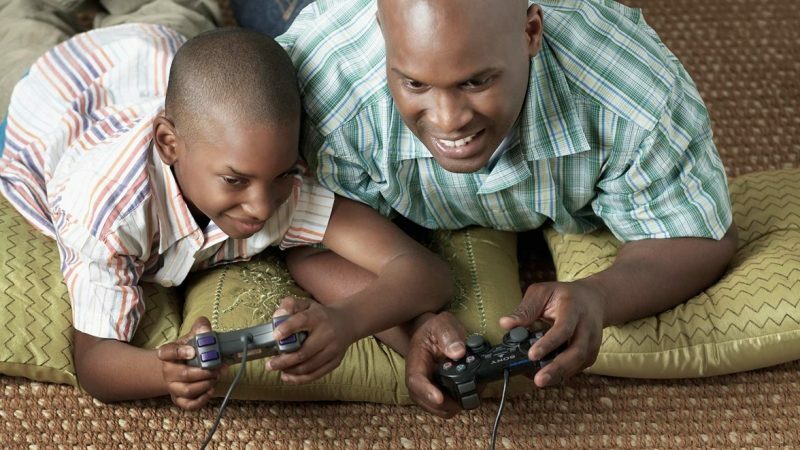 Hence, we’ve searched the web for the best video games that are certifiably safe for your kids to play, and most importantly, for you to play with them and have some quality parent/daughter/son time. 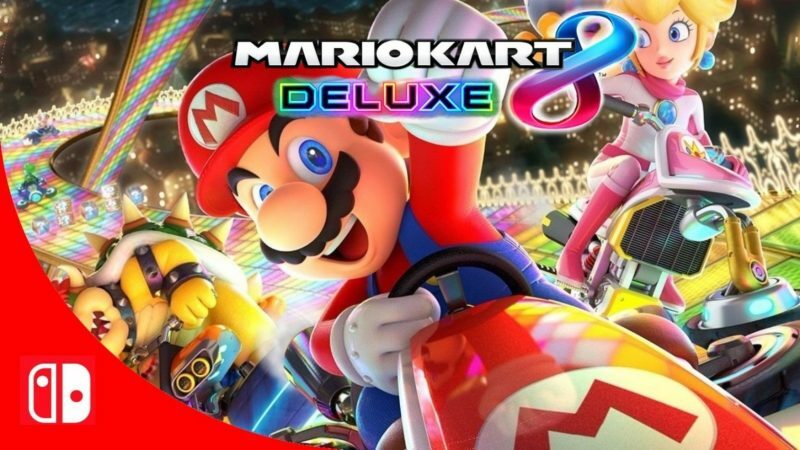 The Nintendo Mario Kart series is known to have been a hit in every installment they launch, and it’s pretty obvious to understand why: It’s a bright and colorful game, it’s fun, and it’s easy enough on the easier tracks for anyone to play. In a nutshell, it’s an ideal game for you to try out with your offspring. Mario Kart 8 Deluxe for Switch just takes things into another level; the new tracks are out of this world, including jungles, spaceships, and the Hyrule(!). There are also new karts and competitors from almost every character in the Super Mario universe. Recommended to: Kids of all ages. Three words: Cars playing soccer. That’s all anyone needs to know at first to get hooked on the idea of Rocket League. The premise is very simple: Two teams of rocket-powered cars play against each other to get an enormous ball into a goal. What’s addictive about the game is it’s dynamic gameplay in which cars can perform jumps, twists, and crazy pirouettes in order to strike a goal. 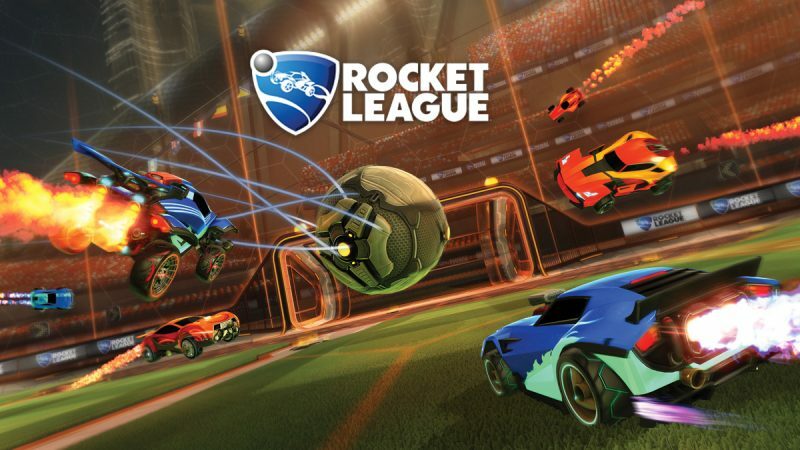 Rocket League has an option of both multiplayer and single-player screens, so it can be enjoyed by only one person, in pairs (you vs. your kid), or as a group (with the whole family or a group of friends). Recommended to: Kids of 7 y/o or older. This time around, Nintendo took one of the most popular video game genres and made it available for children to enjoy without them being subject to violent and deathly scenes. Simply genius. 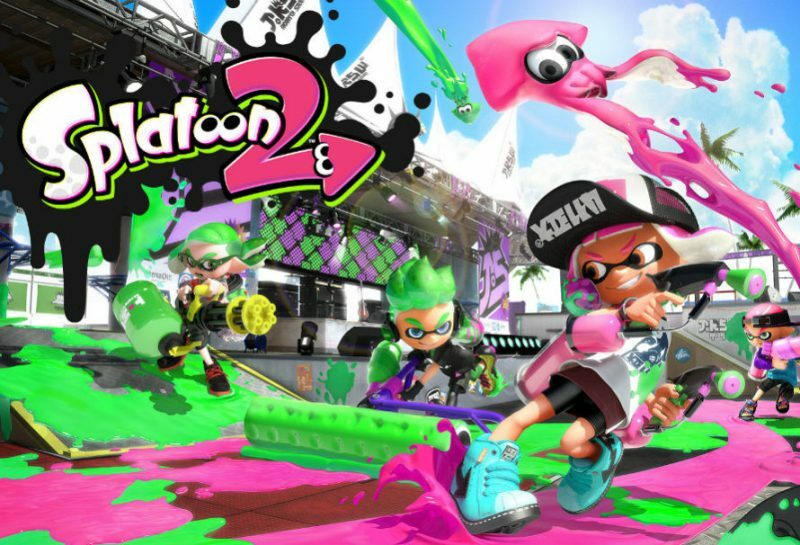 Splatoon 2 is a first-shooter game in which the player must shoot paint out of a water gun and try to splash as much space as possible full with it. The game is absolutely addictive, colorful, and perfect to spend a very good time with your kid. Recommended to: Kids of 5 y/o or older. Up to this date, BofW is considered one of the best Zelda installments ever made. 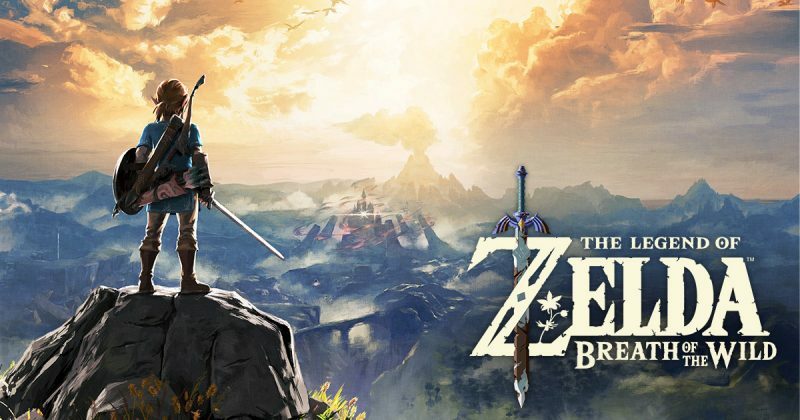 Breath Of The Wild is a perfect combination of beautiful, enchanting, magical landscapes; an unbelievable story arc; and fun, adventurous playing dynamics. Zelda games are common for their semi complex gameplay and storylines, making it an experience best suited for non-children people; however, BotW presents us with a very wide playing experience that can be enjoyed by the whole family. For the younger kids there are interactive activities of exploration, and easy enough tasks such as cooking recipes for power-ups and horse training. As for the older ones, magical fights, dangerous adventures and the fantastic story arc are up for the take. Enlist your little one(s) to help our favorite italian plumber rescue his one and true love Princess Peach from the evil clutches of Bowser in this new and renovated open-world brilliance of a game. 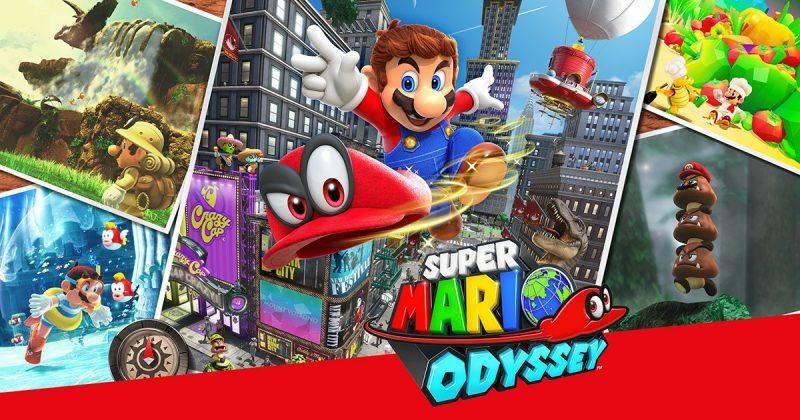 Super Mario Odyssey retains all the basic elements present in any Super Mario game, but adds little details and twists here and there that this one phenomenal experience. 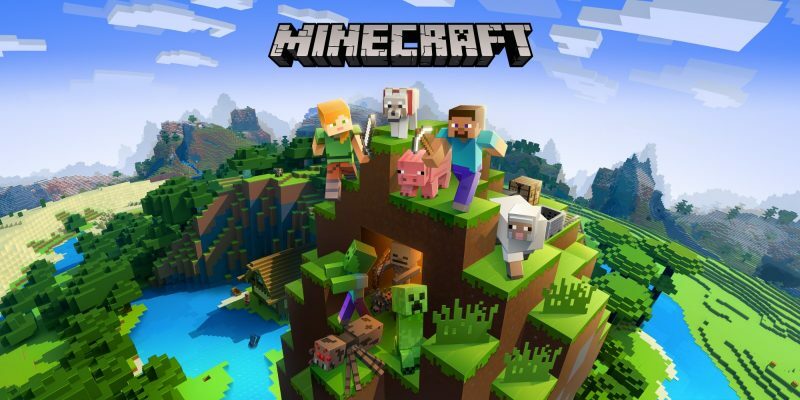 This a revolutionary game for kids, not only do they enjoy it and have fun with it, they also inadvertently and unconsciously learn tons of things with it, so much so, that a lot of schools throughout the U.S and Europe have education programs involving Minecraft. Another perk of Minecraft is that it can be played by virtually anyone, from very little kids to young adults. The creative mode is special for little kids; in there they can build places and entire worlds entirely out of their imaginations. Survival mode is for more experienced and older children, where they’ll also have to fight wild animals and zombies. Recommended to: Kids of 6 y/o or older. Roblox could be considered the Minecraft for slightly older children, in the sense that it requires much more thinking and a more developed sense of logic. Roblox is an online platform of mini-games, but the developers of said games happen to be the same users. Unsurprisingly, those game developers are actually kids that design and put together entire worlds out of their imaginations. What better way to spend time with your kid(s) than to do it developing you own original game?